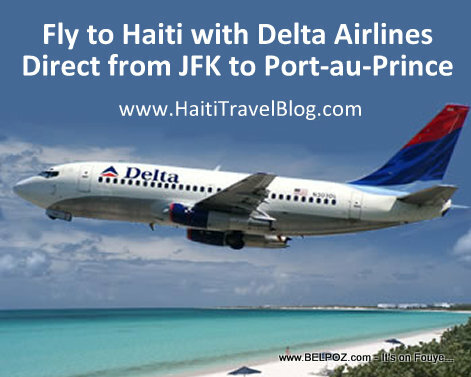 Delta Airlines is offering a new direct flight from New York's JFK - John F. Kennedy International Airport to Port-au-Prince. Great news for Haitian airline passengers in the New York and the Tri-State area. Starting on December 22, 2018, Delta Airline will offer a direct flight from JKF to Port-au-Prince on Saturdays only. You can start booking your flights now, All flights are ready for reservations Delta Airlines said.